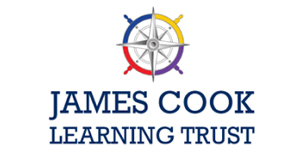 Our school proudly bears the name of one of the greatest explorers and navigators ever to sail from British shores. James Cook was born in Marton in Cleveland on 27th October 1728. He was christened in the local parish church of Saint Cuthbert, before moving to nearby Ayton in 1736. After serving apprenticeships in Staithes and Whitby he joined The Royal Navy in 1755. His three great voyages of discovery between 1768-1780 literally put The Pacific Ocean on the map.